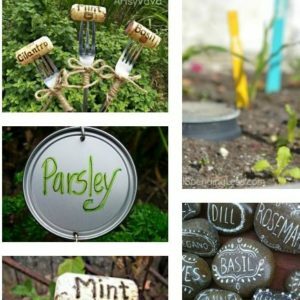 April 21, 2017 0 comments on "Homemade Plant Markers"
I’m always looking for creative DIY ideas, especially for the garden. It’s fun to make homemade garden decor to brighten up your garden or backyard. 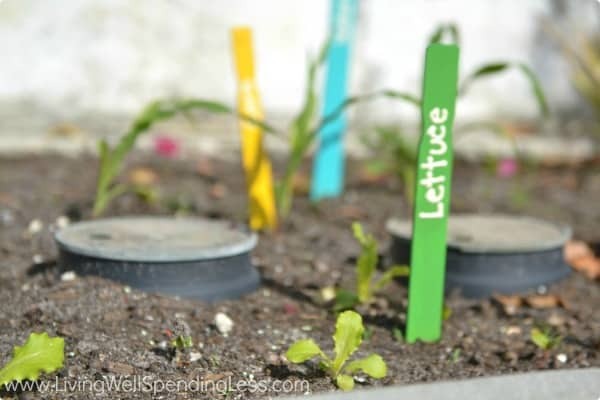 I’ve rounded up some creative ideas for making plant markers for your garden. Some require more artistic abilities than others, there is something for all levels of creative abilities! The fork and cork plant markers are super easy to make. Anyone could make them, they do not take a lot of creative talent. 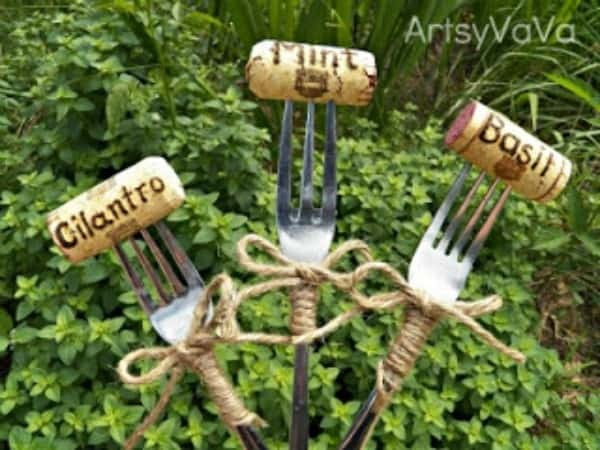 All you need are some dinner forks, wine corks, and some twine. They used a wood burner to etch the plant names on the corks, but you could also use a sharpie marker. Cute! These colorful rainbow garden markers are also really easy to make. In the photo they look like popsicle sticks, but they are actually paint stirrers, like you get at Home Depot. You will also need a couple of kinds of paint and some sealer to make these. These mini chalkboard plant markers are super cute. They are fairly simple to make, but you will have some supplies to buy, like the mini chalkboards, a chalkboard pen, and chalkboard paint if you want to write on the side of a container like in the photo. This plant marker idea is very creative and you’ll need a few simple tools to make them. 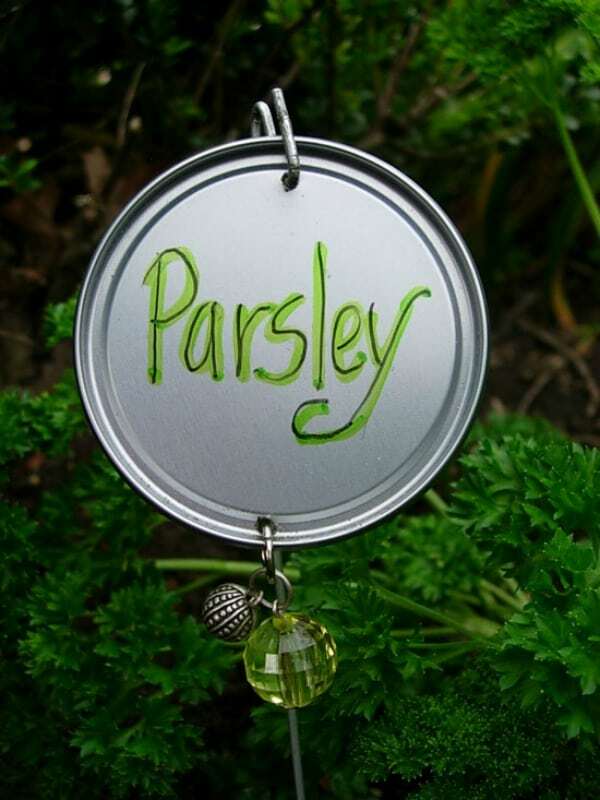 The author calls it “jewelry for your garden”, these plant markers are made from orange juice can lids. These plant markers are really pretty but will probably take the most talent to accomplish of all the DIY plant markers listed here. 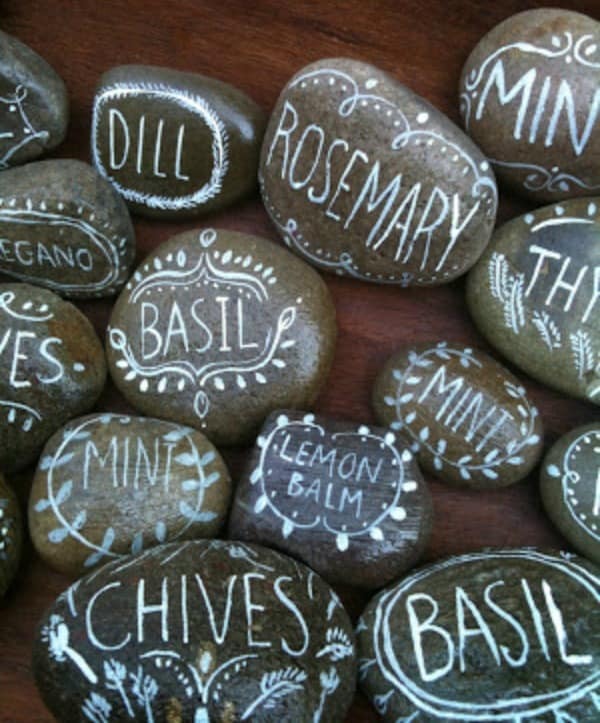 The markers are rocks that have been painted with the plant names on them. If you like to paint, you can probably come up with something similar to what is shown in the photo. Like these tips? 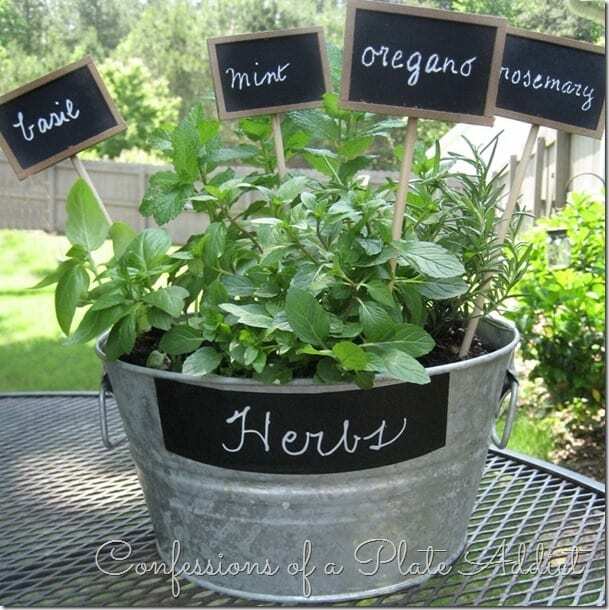 You might also like these 3 DIY plant markers for the garden or how to make homemade plant food.